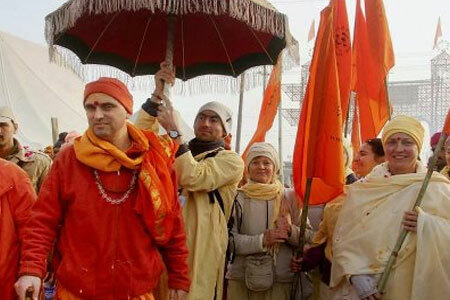 The upcoming opportunity to attain the bliss of the divine is at Maha Kumbh Mela Ujjain. The festival begins when Jupiter ascends into sun sign Leo's quarter on the full moon day of the Hindu month of Chaitra (March-April) and continues on various dates until the full moon in the following month of Vaishakha. According to Hindu mythology, Kumbh Mela has roots in the Samudra Manthan. The Ksheer Sagar (Ocean of Milk) was churned by Devas (Gods) and Asuras (Demons) with Meru Mountain as rod and Serpent Vasuki as rope. Of the churning came out Amrit (nectar of immortality). The amrit was desired by both Devas and Asuras and resulted in struggle. There lasted a struggle for 12 days. During the struggle, few drops of nectar fell on earth at four places. These four places are now the revered sites of the festival. As 1 day of the divine is 12 years of the human the festival is organized every 12 years and the greatest gathering happens every 144 years. 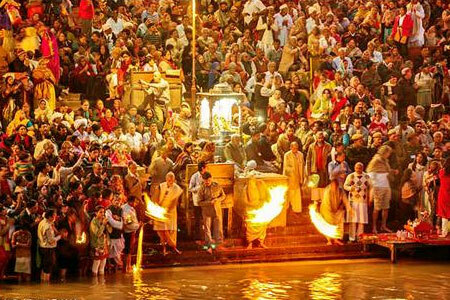 The Simhastha Kumbh Mahaparv is special in Ujjain as Mahadev is the presiding deity here and it is he who made the Manthan possible after having consumed the deadly poison (halahal) which came out of the churning. Kumbha Mela is organized for a holy bath in the river waters. 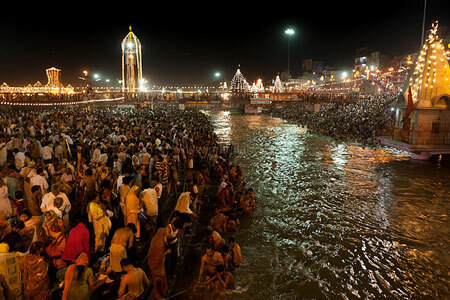 The astronomical positions during Kumbh Mela is similar to the conditions of Samudra Manthan therefore the river waters are said to be charged with cosmic energy. A holy bath during the festival is said to be the attainment of salvation and liberation of the vicious cycle of rebirth. Sins are purified by the waters. Devotees chant hymns, offer prayers and do charity. In Ujjain, after the snan people worship Mahakal, the Lord of all times. Ujjain has been named and described in various holy Hindu Texts and scriptures. One of the oldest and holiest places for Hindus, the city is the seat of the divine Mahakal. Almost 84 forms of the Lord Shiva are worshipped here. There are many other holy temples where pilgrimage grants salvation. Shri Mahakaleshwar Temple, Shri Kaal Bhairav Temple, Shri Chintaman Ganesh Temple, Harsiddhi Temple, Shri Siddhwat Temple are some of the most revered places.